If you’re looking for the best casino bonus, then you need to know how to find the true value of any particular bonus offer for yourself. If you look at the modern online casino market, what you’ll find is that there are hundreds, if not thousands, of sites to choose from. This means that there is an overwhelming amount of competition between these different establishments, and that competition creates an upward pressure for player incentives. One of the most popular incentives that a site can give to play with them is an online casino bonus, typically in the form of a welcome package of some sort. Along these lines, our team at Play Casino Online have compiled a list of some of the best casino bonuses on the Internet, and this chart below makes it really easy to pick out a deal that will work for you by simply showing you side-by-side what’s out there. Down below, we’ll show you more about how these bonuses work and how you can maximize the value that you get from them. That doesn’t always just mean going for the biggest bonus offer and leaving it at that. In fact, many players will get the best value from going for smaller, more frequent bonuses than going for a large, one-shot promotion. Any time there’s a promotion or special offer for anything, there are people out there who will try to figure out how to abuse it. Along these lines, the casino sites themselves have to take measures to present themselves from being taken advantage of. This protection comes in the form of simple terms and conditions that make sure that players who accept these offers are actually looking to play the games and not simply cash out the bonus. Keep this in mind when you’re looking at the terms and conditions for these deals so that you understand the casinos aren’t doing it to punish you; they’re doing it to protect themselves. Typically, the bonus amount will be based on a certain percentage of your deposit amount. For example, a 125 percent bonus on a deposit of $40 would be worth $50. There’s often a cap for the maximum amount of bonus money you can get for a specific offer. Thsi could mean something like a 100 percent match bonus with a maximum value of $500. A wagering requirement or play-through requirement often exists that requires you to play a certain amount in real money wagering before you can request a cash out. These requirements are typically expressed as a multiple of the deposit and/or bonus. For example, it could be 20 times the total of the bonus and deposit. Sometimes you will have restrictions on the actual games you’re allowed to play or not allowed to play, or you can have different wagering requirements for different groups of games. The bonus money itself may be cashed out like other money once the wagering requirements are complete, or you may only be able to wager with it and cash out your winnings instead of being able to cash out the actual bonus funds. Finally, you’ll sometimes have a maximum amount that you can cash out from your play with the bonus money. This set of points offers a basic outline for how online casino bonuses work, and you can use this information to help figure out which offers will work out the best for you with your own personal situation and bankroll. There are certain features and sets of terms and conditions that make for the best bonuses for most players in most situations. First and foremost, a cashable bonus (one that you can cash out like real money once the play-through is complete) are better for players. Second, the lower the wagering requirements, the better the value in most cases. Third, you’ll want to have the games that you actually want to play allowed for play with the offer. What you really don’t want to experience is depositing to take advantage of a promotion like this only to find out that you can’t play any of your favorite games while clearing the play-through requirements. If we suppose for a moment that you’re dealing with a cashable bonus offer, then we can use a little math to find out your average profit or loss from claiming a particular bonus. The first thing we’ll want to do is figure out exactly how much you need to wager to clear the play-through requirements. For example, let’s say you have a 150 percent match bonus on a deposit of $120 with a play-through of 20 times the sum of the bonus and deposit. The deposit is $120, the bonus is $180, and that’s $300 combined. Multiply that by the play-through of 20x to get a total of $6,000 in wagering that you’ll have to complete. Now we need to know how much we’re going to lose, on average, during the time it takes to clear this wagering requirement. We find that by taking the house advantage of the $6,000 that we’ll need to wager. For this example, let’s suppose that the house edge for the game we’re playing is 1.5 percent. If we take 1.5 percent of $6,000, then we find that we are losing an average of $90 by the time we complete the play-through. Since we’re losing an average of $90 after receiving a bonus worth $180, we’re actually picking up a net profit of $90. Here we want to list out a number of quick pitfalls that some players can fall into, especially if they’re just starting out and don’t know to look for these types of things. Realize that not all of these things will apply to all of the offers that are out there, but you should still keep them in the front of your mind when picking through which promotions to claim. Welcome bonuses frequently only allow games like slots and scratch cards while placing heavy restrictions on titles like blackjack and video poker, which allow skilled players to get the house edge down to tiny amounts. If you want to stay at one casino over the long run, then look for a site that has a regular schedule of good bonuses and promotions instead of only looking at the size of the welcome bonus. Know which games you want to play first. Once you have that in mind, focus on bonus offers that allow you to enjoy those games specifically. Keep an eye out for atypical terms and conditions, like those that might force you to clear the wagering requirements within a very short period of time (eg: just a few days) before your bonus is nullified. If you see conflicting terms and conditions for the same offer on a casino’s website, then make sure to contact support before depositing for clarification so that you know exactly what you’re getting yourself into. These are the most common pitfalls that players fall into, but there are others that can come up. Remember to look through the terms and conditions to see the main points in terms of any maximum cash out values, game restrictions and wagering requirements to get a good idea of what you’ll be working with. 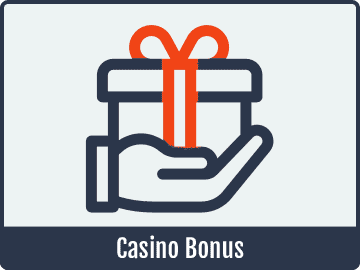 There are several different types of casino bonus offers out there, but the information we have given you here will arm you with what you need to know to get the most from these promotions. As long as you make sure that you aren’t just jumping into a bonus without actually checking out its rules and conditions, then you should be in good shape, especially if you choose from the top bonus offers that we have listed up above. These deals have been vetted ahead of time to make sure that you’ll get a pretty good deal, and it can save you the time and frustration of going through tons of fine print to find out if different bonuses are better for you.